This year, Rakshabandhan would be celebrated on 7th August this year across the country and siblings are already gearing to pamper each other on the auspicious day. Shops around the street are lined with colorful rakhis, gifts and delicious sweets. A brother and sister's relationship is a mixed bag of emotions, squabbling like cats and dogs at one point and teaming up for some mischief the next. On this auspicious day sisters tie beautiful rakhis around the wrist of her brother, signifying her deep- fond affection towards him. Sisters also apply a tilak on their brother's forehead and finally conclude the ritual by offering him delicious sweets . The brother pledges to protect her loving sister against all odds in life. Raksha Bandhan is celebrated in the holy month of Shravana during full moon or Purnima day. There are number of legends associated to the holy thread and bond of Rakhi. It is believed that Draupadi tied a rakhi on Krishna's hand when he hurt his finger while setting off his sudarshan chakra against evil king Shishupalal. As Krishna's slashed finger bled, Draupadi tore a piece from her sari and tied it around Krishna's hand. Krishna in return vowed to protect Draupadi against all adversities in future. It is said that the best time to tie Rakhi on Raksha Bandhan is during Aparahna , which usually falls around afternoon. If for some reason, you are not able to tie it in the Aparahna period, the Pradosh time is also deemed suitable to perform the festive rituals. According to the scriptures, Raksha Bandhan rituals should be avoided in the Bhadra phase of the day. During the Bhadra time, certain malicious energies are said to come into force. Bhadra prevails during first half of Purnima day. This year the most auspicious time to perform the Rakhi rituals is between 11:04 a.m. in the morning to 9: 12 p.m in the evening. In which the Aparahna time of Raksha Bandhan Mahurat is from 1:45 p.m. to 4:24 p.m. in the afternoon. 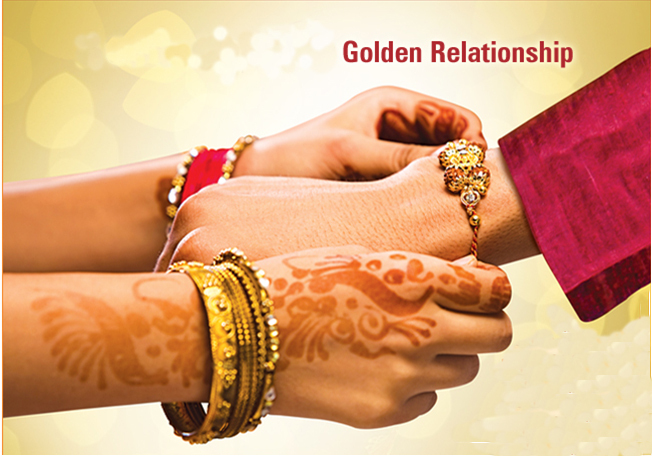 The Pradosh Time of the Raksha Bandhan Muhurat is said to start from 7:02 p.m. to 9:12 p.m. Following are the 'Bhadra' phase times which are best to avoid as per scriptures. Auspicious Raksha Bandhan Thread Ceremony Mahurat= 11:04 a.m to 9:12 p.m. Wish you all a warm and happy Rakhi!